No, this isn’t the Twilight Zone. Last year brought an interesting set of brand new buzzwords into the mainstream, and all of those mentioned above made Business News Daily’s annual roundup. Buzzwords come and go, but corporate jargon is nothing new. As far back as 1911, there were business-related books being published (like Frederick Winslow Taylor’s The Principles of Scientific Management) that in turn coined that era’s latest organizational lingo. Some stick, some don’t, but for the most part, catchy terminology tends to be lacking in the depth department. Occasionally, however, a buzzword morphs into something much larger—a mindset, a movement, or even a factor in a company’s standard operating procedures. Yes. I’m talking about big data—the once-upon-a-time buzzword-bingo term that Gartner now says will receive budgeting dollars from 75 percent of businesses within the next two years. That’s not a typo: 75 percent of businesses ranging in geography and size are either already investing in or planning to invest in big data before 2017. Bye bye, buzzword. Hello future of business. Today, we’re doing a lot more than simply talking about big data for the sake of talking about big data—rather, we’re using it as a tool to develop initiatives that influence SOPs and streamline processes. Titled “Visually exploring gigabyte data sets in real time,” the piece described big data—even in its relative infancy. Here’s a quote—note the similarities with how we discuss the topic today. Since that article was published, the amount of big data being generated and collected—and the discussions surrounding best practices for all those initiatives—has grown exponentially. As the authors suggest, the numbers still may be “just plan difficult to look at,” but at least we can look at them through results-tinted, ROI-focused lenses. Seventy percent of companies that have previously invested in big data plan to also analyze location data. Just think of the implications for mobile business models and the platforms they support, like smartphone local search. Besides location data, companies that plan to invest in big data within the next two years will also focus on analyzing free-form text. Most companies polled expect a positive ROI but don’t really know if that will happen. (Yes, you read that right.) In fact, 38 percent of companies that have already invested and 43 percent of companies planning to invest have no idea if their big data efforts will be profitable or not—but they’re going forward anyway. If you needed any more proof, this is pretty sound evidence that big data isn’t going anywhere anytime soon. The survey found that CIOs aren’t the only ones who initiate big data projects—in 2015, 31 percent came from the heads of business units and 32 percent came from the CIO. This shows that big picture big data projects can be both collaborative and empowering. Practical challenges to big data initiatives as noted in the Gartner report include the following: Lack of personnel skills, governance, funding and low to no ROI. No surprises there, right ? The Gartner research says what we have all been thinking about diving into big data initiatives: There are challenges, but the potential benefits outweigh the costs—and the challenges. 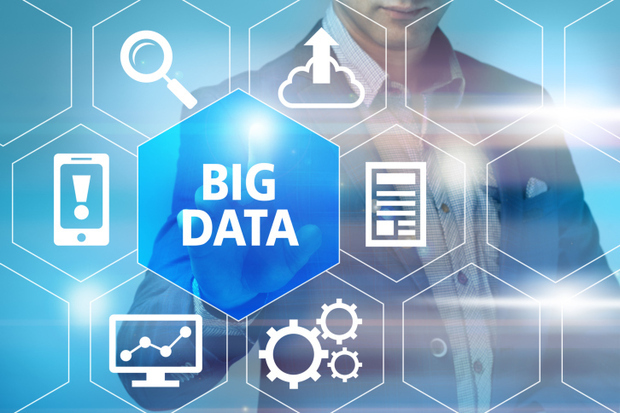 Especially when you consider the business case for successful big data projects—streamlining workflow, improving customer experience, reducing costs, increasing the effectiveness of security and marketing efforts—it just makes sense for both CIOs and their marketing counterparts to embrace big data. Remember this—as those article authors stated back in ‘99 when they named big data in the first place, the purpose of computing is insight, not numbers. I included that quote as for a reason. It’s a powerful statement, especially as we navigate an IT space filled with formulas, algorithms, and projections. If we can get big data right, we can have a profound impact on every part of business operations: Customer experience, employee experience and productivity, business efficiency, R&D, speed to market, customer satisfaction, and so many other things. Success with big data lies in the ability to gather data, to filter and analyze it effectively, and then apply the knowledge and insights you’ve gleaned as a result in ways that can have an impact.